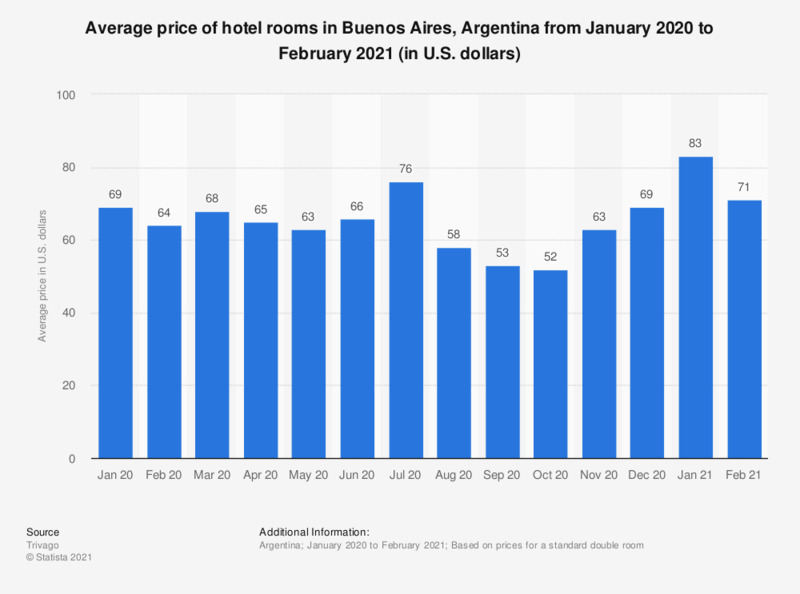 This statistic shows the quarterly average daily rate in hotels in Buenos Aires from 2012 to 2017. In the first quarter of 2017, the average daily rate of hotels in Buenos Aires in the Argentina was 2,542 Argentine pesos. 1 USD = 15.406 ARS (as of March 31, 2017).